英文摘要：The ethogram of blue sheep (Pseudois nayaur) was established using the videos and pictures taken by infrared cameras in Wolong National Nature Reserve from January 2015 to June 2016. Nine types of postures, 68 acts, 7 kinds of environments and 61 behaviors were identified and recorded. The occurred frequency of each behavior based on sexes and ages was also distinguished. The study provided information of P. nayaur's behavioral characteristics. The study pioneers in ethogram study of wild ungulates living at high altitude. The comparison of the ethograms of P. nayaur in field with those in captive and semi-captive conditions will be helpful to well understand the behavior of maintain dwelling species. 蔡玉生, 龚粤宁, 卢学理, 等. 2016. 南岭森林哺乳动物多样性的红外相机监测[J]. 生态科学, 35(2):57-61. 邓强. 2000. 岩羊的繁殖行为学研究[J]. 动物科学与动物医学, 17(3):29-30. 蒋志刚. 2000. 麋鹿行为谱及PAE编码系统[J]. 中国兽类学报, 20(1):1-12. 李凤山, 杨芳. 2003. 云贵高原黑颈鹤的种群数量和分布[J]. 动物学杂志, 38(3):43-46. 李广良, 李迪强, 薛亚东, 等. 2014. 利用红外相机研究神农架自然保护区野生动物分布规律[J]. 林业科学, 50(9):97-104. 李治霖, 康霭黎, 郎建民, 等. 2014. 探讨基于红外相机技术对大型猫科动物及其猎物的种群评估方法[J]. 生物多样性, 22(6):725-732. 连新明, 李晓晓, 颜培实, 等. 2012.夏季可可西里雌性藏原羚行为时间分配及活动节律[J]. 生态学报, 32(3):663-670. 刘芳, 李迪强, 吴记贵. 2012. 利用红外相机调查北京松山国家级自然保护区的野生动物物种[J]. 生态学报, 32(3):730-739. 刘振生, 王小明, 曹丽荣. 2005. 圈养条件下岩羊冬季昼间的行为及活动规律[J]. 东北林业大学学报, 33(1):41-44. 龙帅, 周材权, 王维奎, 等. 2008. 矮岩羊行为谱及PAE编码系统[J]. 生态学报, 28(11):5632-5640. 任青峰, 李香兰, 张惠玲, 等. 1999. 岩羊行为的初步探究[J]. 宁夏农学院学报, 20(1):19-22. 闫永峰, 王留臣, 朱杰, 等. 2006. 甘肃东大山自然保护区岩羊生态行为的初步观察[J]. 动物学杂志, 41(4):53-59. 姚军, 杨博辉, 闫萍, 等. 2006. 中国野牦牛栖息地环境及种群行为分析[J]. 草业学报, 15(2):124-128. 张晋东, 李玉杰, 李仁贵. 2015. 红外相机技术在珍稀兽类活动模式研究中的应用[J]. 四川动物, 34(5):671-676. 曾治高, 宋延龄. 1998. 羚牛防御行为的观察[J]. 兽类学报, 18(1):8-14. Lehner PN. 1996. Handbook of ethological methods[M]. Cambridge:Cambridge University Press. 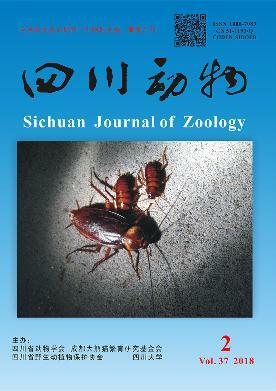 Liu J, Linderman M, Ouyang Z, et al. 2001. Ecological degradation in protected areas:the case of Wolong Nature Reserve for giant pandas[J]. Science, 292(5514):98-101. Martin P. 1986. Measuring behaviour:an introduction guide[M]. Cambridge:Cambridge University Press. Mcdonnell SM, Poulin A. 2002. Equid play ethogram[J]. Applied Animal Behavior Science, 78(2):263-290. Schaller GB. 1977. Mountain monarchs:wild sheep and goats of the Himalaya[M]. Chicago:University of Chicago Press.